Last week I was in Hobbycraft on the hunt for some autumn bits and bobs, and spotted their new range of copper wire letters. Thinking our initials would make a nice addition to our downstairs toilet (which is finally nearly finished!) 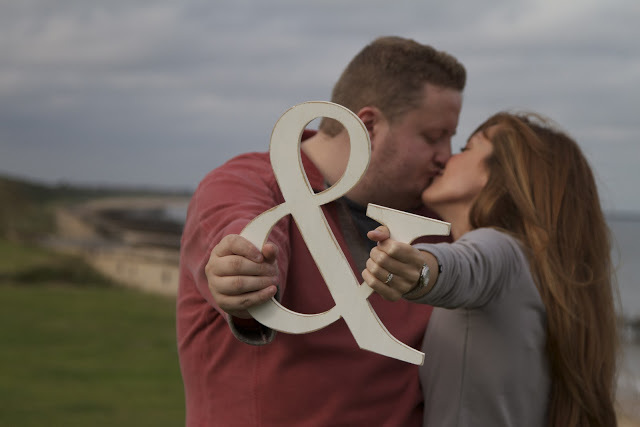 I picked up a letter 'D', but in the absence of an 'E', I changed my mind and bought an ampersand. Cute isn't it! The ampersand has become something of a household accessory staple. Most homeware collections seem to include this piece of punctuation among their range - cushions, candles, mugs and various other decorative objects - but I wonder how many people have actually thought about what the curly little symbol means apart from being a stylised alternative to the word 'and'. Although it has always been interchangeable with the word 'and', the '&' character itself came about before the name 'ampersand.' When writing in Latin, the word 'et' (you know, as in 'et al') became blurred by hasty penmanship and slowly something similar to the symbol we use today began to emerge. The '&' symbol used to be a character of the alphabet, and appeared at the very end of the sequence of letters, directly after 'Z.' When reciting the alphabet, Roman's would repeat '...W, X, Y, Z and per-se and' to refer to the curly little symbol which everyone knew to mean 'and'. Also, something I hadn't seen until I started reading about this topic is the ampersand combined with the letter 'C' used to further abbreviate 'etc.' 'Etc' is often written at the end of a list or sentence to imply that there is more information, but it is perhaps to too obvious or lengthy to include and the items that have come before it are sufficient to explain the point. It itself is an abbreviation of 'et cetera' which in latin means, 'and so-forth'. So, the '&' would take on it's original meaning and replace the 'et', meaning a list could read something like 'coats, gloves, hats, scarfs, &c.' I don't know about you but I'm but I think even now I know this, I would still probably assume it was a typo if this cropped up in something I was reading. I also found an interesting piece on why graphic designers love ampersands so much - you can read it here.